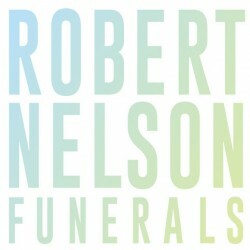 Robert Nelson Funerals help grieving families farewell a loved one in a way that best honours their life. We provide burial and cremation services that are meaningful, appropriate and affordable to the unique needs of each individual. After several decades of working in the funeral industry, we give clients the assurance, expertise and peace of mind they need when managing their recent loss. We give assurance by managing all of the vital details needed to make the funeral right for you. We deliver peace of mind as we ensure our client’s loved ones will be looked after with the greatest care and consideration. We guarantee expertise and skill in providing the appropriate time and space to remember the people we care about. What makes Robert Nelson Funerals the preferred choice? Having listened and worked with clients since 1983, we have created burial and cremation options and ceremonies that are designed around the needs and desires of grieving families. We allow families to choose services that are relevant to them, and the individual they are gathering to collectively honour. We accommodate a range of preferences from highly traditional church services to unique pre-planned ceremonies involving Funeral celebrants, caterers, florists, car services, musicians and more. This is made possible because we promise our clients the following. Experience - We are skilled and accustomed to a broad range of circumstances, beliefs and cultures that comes with death and the closure of life. Knowledge - More than three decades of experience and training in the funeral business which means we have the ability to deal with every technical aspect of funeral management. Understanding - We recognise that people grieve and culturally respond to death in different ways that seek unique requirements. Affordability – Our resourcing means we can create cost effective funeral options that empower families to invest their money into a farewell that appropriately honours their loved one. We ensure your money is spent where it matters for you and your family. Innovation - We think outside the box. We design and lead creative solutions that ensure continuous improvement across the funeral industry. Preparing a funeral is likened to arranging an event as monumental as a wedding, but often with a few day’s notice and with the added challenge of grief. When partnering with Robert Nelson Funerals, all of the details will be professionally looked after from the administrative paper work to burial or cremation duties and ceremony management. We don't offer special offers or discounts as all of our clients are treated as special. We ensure you receive the lowest prices, yet backed with years of experience expertise and knowledge.